The most basic pantry staple and seasoning is the undisputed champ for a reason. And there’s really no reason to fear it! The benefits of salt are many, varied, and delicious. For years we’ve been taught to fear salt; the colourless, crystal-like substance we all use to flavour our food. Despite this fear, salt shouldn’t be the enemy. It’s certainly more delicious to enjoy well-seasoned food, but on an even simpler level, it’s impossible to avoid salt because it’s found almost everywhere- and this isn’t a bad thing! Salt occurs naturally in fruits and vegetables, meat, chicken and fish, grains, nuts and seeds. So why if these healthy whole foods that we’ve been told to eat on the regular contain salt, are we also taught to fear it? The answer, as is the case so often, is in moderation. Salt is chemically referred to as NaCl, because it’s made up of the two elements, Sodium (Na) and Chloride (Cl). Of these two elements, it’s sodium that cops all the slack. In excessive amounts, sodium has been associated with raising blood pressure, causing vascular issues, and increasing the risk of obesity and cancer. Despite this, sodium also plays a crucial role within the body, and there are plenty benefits of salt. Without it, our cells could not function, our blood would not maintain its consistency and pressure, we would not sweat and be able to cool down, our digestive system would struggle, and our nerves wouldn’t be able to properly communicate. All pretty important functions, we think you’ll agree. The recommended daily intake of sodium is between the range of 460-920mg per day with the upper limit set at 2,300mg. This figure is pretty ambiguous and it would also be incredibly laborious to calculate the amount you’re consuming daily in order to match the recommendations. What you can and should do though, is consider the types of foods in your diet that are the major contributors of sodium in your diet and assess the quality of the salt you’re using. The average person consumes about 85% of their daily sodium intake through processed foods and the remaining 15% combines what is naturally occurring in food and what we add while we’re cooking and seasoning our meals. Processed foods require sodium for preservation, but sodium is also added to help improve the flavour of certain processed foods… the ‘S’ in MSG stands for sodium. Perhaps the worst part about processed foods in relation to sodium is that the act of processing removes the other valuable minerals found in the original salt. Salt is harvested from rock, or from the sea and along with Sodium, is typically rich in Potassium, Magnesium, Iron, Calcium and Zinc. Of these minerals, Potassium plays a crucial role. It is Potassium’s job to monitor and control the level of sodium within the body and respond to excess sodium by promoting excretion through the kidneys. Without potassium, this function doesn’t take place, and as a result does raise blood pressure, does cause vascular issues and does increase the risk of obesity and cancer… it’s confusing stuff! The same story goes for table salt- in order for salt to resemble the uniform, small, white crystals we’re used to expecting, it has to be processed and therefore is robbed of all its useful minerals, except for sodium. Limit your intake of processed foods and embrace the home-cooked delights our parents and grandparents grew up with. 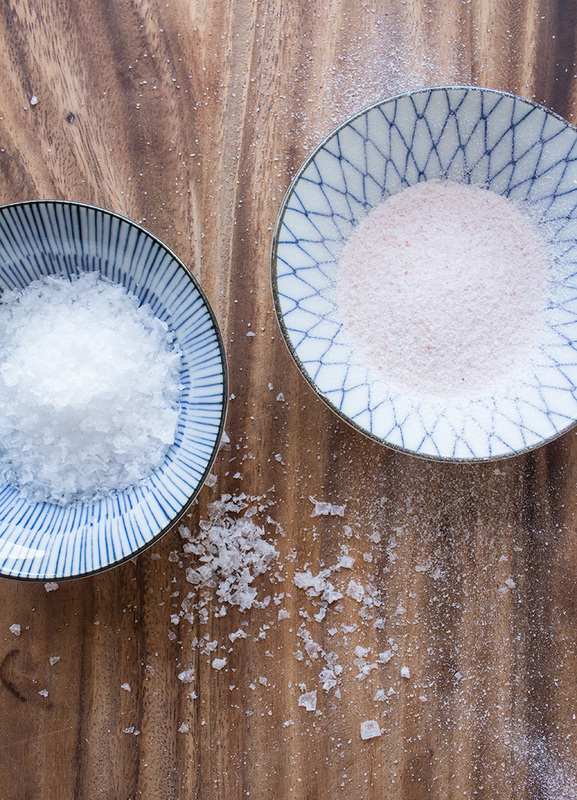 Ditch the table salt and buy a high-mineral variety like Celtic sea salt or Himalayan pink salt (you can find these at supermarkets and specialty stores, or, from our friends at The Salt Box). Flavour your food with naturally salty ingredients like miso paste, or seaweed (we love miso-roasted nuts here at HelloFresh). 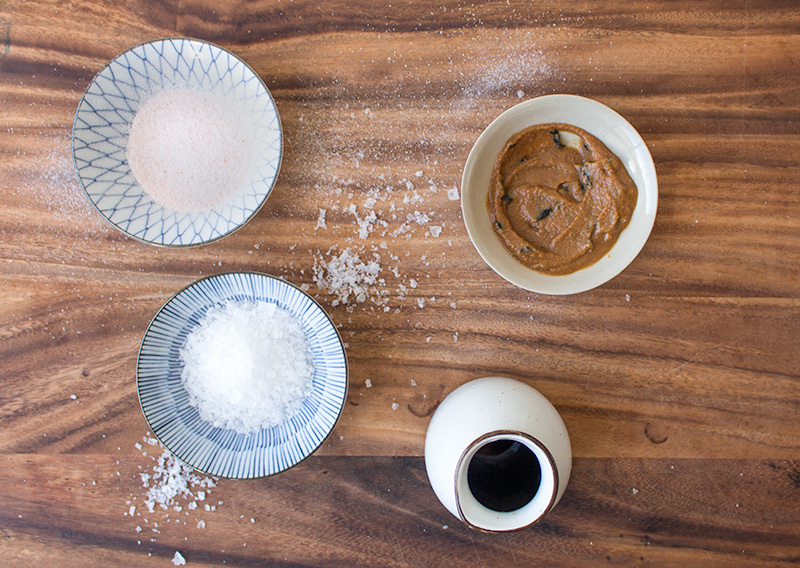 These ingredients also have a strong umami flavour – neither salty nor sweet, it’s a savoury taste that makes things like stock, parmesan and soy sauce taste so great. Ensure your potassium levels are high by enjoying potassium-rich foods like bananas, avocado, coconut, mushrooms and spinach. Still looking for more flavour? Check out our tips to flavour hack any meal. To try the delicious truffle salt from The Salt Box, make sure to opt in to our Gourmet Seared Sirloin & Truffle Salt Potatoes with Parmesan Silverbeet & Garlic-Herb Butter next week! The Salt Box are offering a 20% discount on all products for HelloFresh blog readers. To redeem your discount, just head to https://www.thesaltbox.com.au/ and use code HELLOFRESH.